Writer Gabriel Garcia Marquez, Who Gave Voice To Latin America, Dies The master of magic realism was the region's best-known writer. His novels were filled with miraculous events and characters; love and madness; wars, dreams and death. He died Thursday at 87. Admirers ask Gabriel Garcia Marquez -- seated alongside his wife, Mercedes Barcha -- to sign books in Santa Marta, Colombia, in 2007. Latin American author Gabriel Garcia Marquez, who won the Nobel Prize in literature in 1982, died Thursday. He was 87. Garcia Marquez, the master of a style known as magic realism, was and remains Latin America's best-known writer. His novels were filled with miraculous and enchanting events and characters; love and madness; wars, politics, dreams and death. And everything he had written, Garcia Marquez once said, he knew or heard before he was 8 years old. "There was a real dichotomy in me because, on one hand ... there was the world of my grandfather; a world of stark reality, of civil wars he told me about, since he had been a colonel in the last civil war. And then, on the other hand, there was the world of my grandmother, which was full of fantasy, completely outside of reality." Garcia Marquez's grandfather, grandmother, their stories and their town became the raw material for his most famous work. 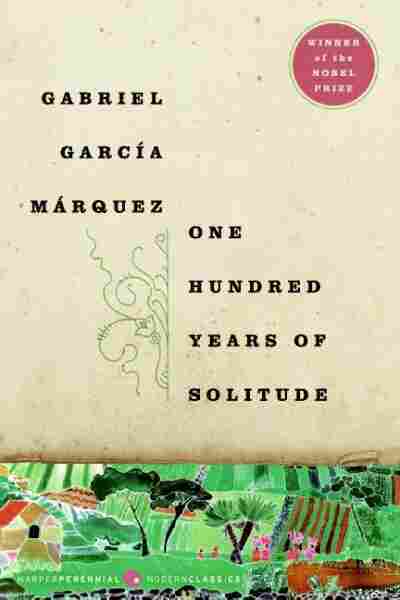 "One Hundred Years of Solitude is a towering book of enormous influence worldwide. And it is also as close as one could get to a perfect book," says Ilan Stavans, who wrote a biography of the author's early years, including the time Garcia Marquez spent as a newspaper journalist. "He was a nobody," Stavans says. "He was really an unknown journalist and author of short stories, just beginning to make his career. He was, at that point, coming close to 40, and the fame and celebrity and this standing that he has as a literary giant of the 20th century really all coalesced in that particular moment when the book was published." It was a unique moment in time, and One Hundred Years of Solitude struck a chord, says Gerald Martin, another Garcia Marquez biographer. "You had to be in the 1960s. You had to be in the world of the Beatles and Third World revolution, psychedelia, lots of things, to understand now what impact the first page of that book had," Martin says. "It seemed to be a kind of writing that everybody had been waiting for. They didn't know they were waiting for it till it came. It was just one of those zeitgeist things." "Many years later, as he faced the firing squad, Colonel Aureliano Buendia was to remember that distant afternoon when his father took him to discover ice. At that time, Macondo was a village of twenty adobe houses, built on the bank of a river of clear water that ran along a bed of polished stones, which were white and enormous, like prehistoric eggs. The world was so recent that many things lacked names, and in order to indicate them it was necessary to point." Martin says, "The first two lines, the first time you read them, you just felt, 'I've read this before. Where does this come from?' which is what [Garcia Marquez] felt when he first ... thought up the first line of the book." 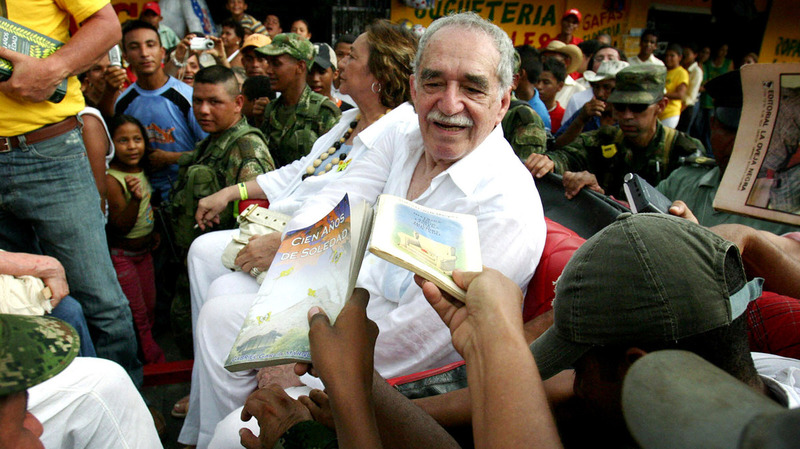 Garcia Marquez was part of a Latin American literature boom in the 1960s and '70s, along with Mexican writer Carlos Fuentes and Peruvian author Mario Vargas Llosa, with whom Garcia Marquez differed sharply in his political beliefs. The Colombian got his leftist leanings from his grandfather, and they shaped his writing. 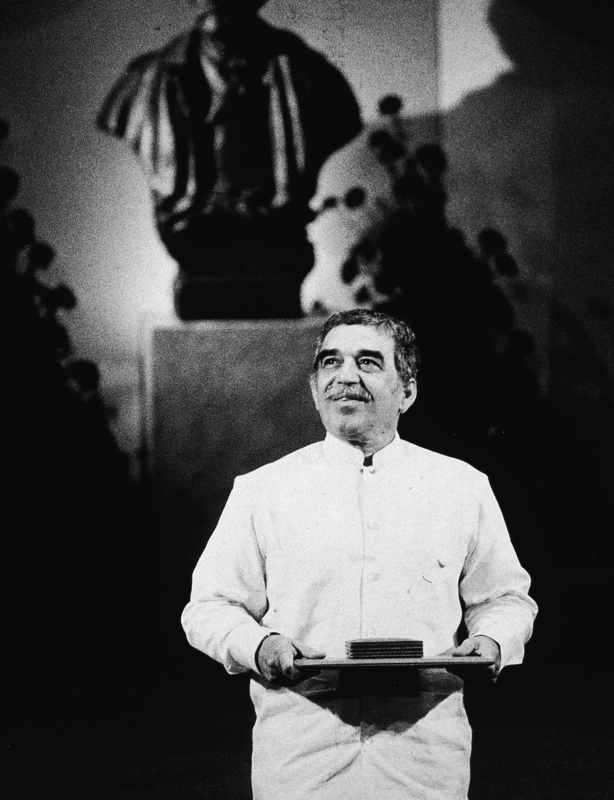 "I write mostly about the reality I know, about the reality of Latin America," Garcia Marquez said. "Any interpretation of this reality in literature must be political. I cannot escape my own ideology when I interpret reality in my books; it's inseparable." Colombian author Gabriel Garcia Marquez was awarded the 1982 Nobel Prize in literature "for his novels and short stories, in which the fantastic and the realistic are combined in a richly composed world of imagination, reflecting a continent's life and conflicts". His 10 novels include The Autumn of the Patriarch, about a Latin American dictator, but they also include a love story about two elderly people married to other people, Love in the Time of Cholera, which was made into a film in 2007. 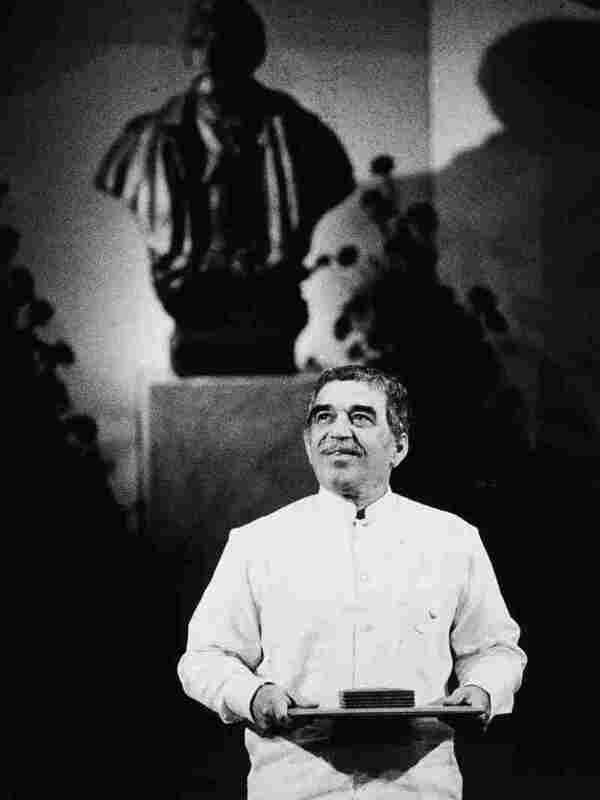 Garcia Marquez titled his 1982 Nobel Prize acceptance speech "The Solitude of Latin America." "We, the inventors of tales, who will believe anything, feel entitled to believe that it is not yet too late to engage in the creation of ... a new and sweeping utopia of life, where no one will be able to decide for others how they die, where love will prove true and happiness be possible, and where the races condemned to one hundred years of solitude will have, at last and forever, a second opportunity on earth." Chilean novelist Ariel Dorfman says the speech was one of the author's most important messages to the world. "Garcia Marquez is speaking about all the people who are marginal to history, who have not had a voice," Dorfman says. "He gives a voice to all those who died. He gives a voice to all those who are not born yet. He gives a voice to Latin America."